> > > I like that project. However, why would we need a new server? > > celestia only have 240gb ssd storage each. > > know if we'd want to host the archive on the build server. > the data of this project would be hosted on another set of disks. snapshots repositories and serve files through http. 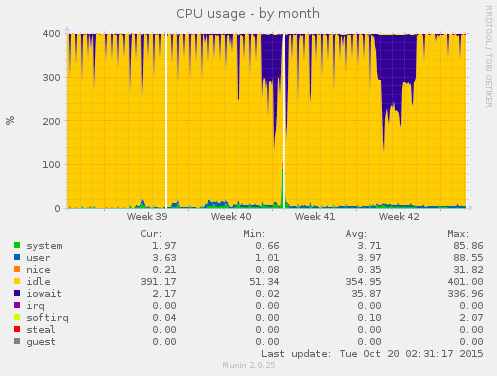 suffer of the archive disk usage. servers (don't find such at Hetzner). but cheaper alternatives may also fit (with no RAID). Upgrading celestia is also a suitable solution.